According to the Omaha World-Herald, Douglas County Nebraska’s tax base would grow by more than $2 billion in 2015 based on preliminary valuations set by the Douglas County Assessor. According to the newspaper, nine out of every ten properties that saw a valuation change for 2015 went up in value. The County Assessor’s office cited an improved real estate market following the recession, and the findings of a consultant hired by the Assessor’s office who concluded that many apartment complexes, offices, retail, and industrial properties were undervalued. In Lancaster County, the news is similar. As reported in the Lincoln Journal Star, all 106,000 parcels in the county were reassessed as part of a complete revaluation the county does every three years, and many of those valuation changes resulted in a valuation increase. Is this the year to protest? Perhaps it is. In Nebraska, protests must be filed with the county Board of Equalization during the month of June. A timely filed protest will give you the opportunity to submit materials and meet in person with a representative of the county to discuss your property’s valuation. The results of the protest process are ordinarily revealed in August, and if the valuation still is not right at that point, the next step for the taxpayer is to file an appeal to the Nebraska Tax Equalization and Review Commission ("TERC"). Filing the protest with the county is critical. If the protest is not timely filed, the valuation cannot be changed for the particular valuation year, and the amount of tax you pay cannot be reduced. In addition, there is no opportunity to proceed to the TERC if a protest was not initially timely filed with the county. • An owner may be paying more than his or her fair share of property tax because comparable properties are assessed lower than the owner’s property, and the valuations are not, therefore, equalized. The above are just some of the possible grounds for protesting a valuation. Your situation may be simpler, or more complex. Regardless, because the process of appealing your case to the TERC can consume a great deal of time, getting the valuation right at the county level is the quickest way to fix the problem and avoid tying up your money. We encourage property owners to exercise their right to protest, to meet face to face with the county, and to come well prepared to their protest meetings. Recent appraisals, financial statements, rent rolls, purchase and listing agreements, photographs, comparable property information, etc., are all important and helpful types of documents to use as you make your case. Regarding commercial property, sometimes an on-site walkthrough is a helpful way for the county to get the valuation right. On the other hand, speaking in generalities at your protest meeting or merely complaining about a large valuation increase will not get you where you want to be. Regardless of how much the valuation went up, your focus needs to be on the new valuation and you must demonstrate why it is wrong, rather than merely focus on the amount of the increase. June 1, 2015 – Counties are required to notify owners if their valuations have changed from the prior year. Check your county assessor’s website because the new valuations may be posted in advance of this date. June 1 – June 30, 2015 - Board of Equalization protests can be filed. This deadline is extremely important. Late filings are not allowed, and a protest that is untimely at the county level cannot be heard by the TERC or any court. Remember, a protest needs to be filed for EACH parcel of property that is disputed, so if you have multiple parcels, you must separately protest each one. June 1 – July 25, 2015 – Protests may be heard by the Board of Equalization or by Board appointed referees. Douglas, Sarpy, and Lancaster counties have the option to extend the end date for protests to August 10, 2015 if they take formal action to do so. August 2, 2015 – The county Boards of Equalization are required to notify owners of the results of their protests. Douglas, Sarpy, and Lancaster Counties have the option to extend this deadline to August 18, 2015 if they take formal action to do so. August 24, 2015 – Deadline to file appeal to TERC. Douglas, Sarpy, and Lancaster Counties have the option to extend this deadline to September 10, 2015 if they take formal action to do so. The above dates are not the only dates you need to know as you protest your taxes. Different counties have different procedures and processes for hearing protests, so be sure you are familiar with any additional requirements your particular county has. 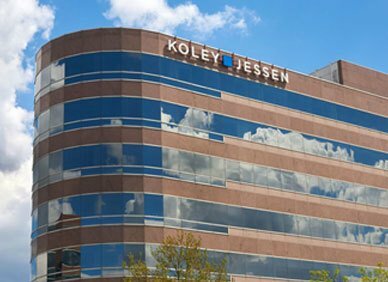 At Koley Jessen, we have helped numerous property owners save hundreds of thousands of dollars on their property taxes by assisting with county level protests and appeals to the TERC. Our assistance can be anywhere from merely helping you behind the scenes, to working with your in-house legal team, or to fully orchestrating the process. Whatever your need is, we can help you quickly identify and focus on the reasons why the county’s valuation may be wrong, set a reasonable budget for the work involved, and get to work on making sure the county gets it right.